Did you know most taco seasoning mixes contain wheat and MSG? 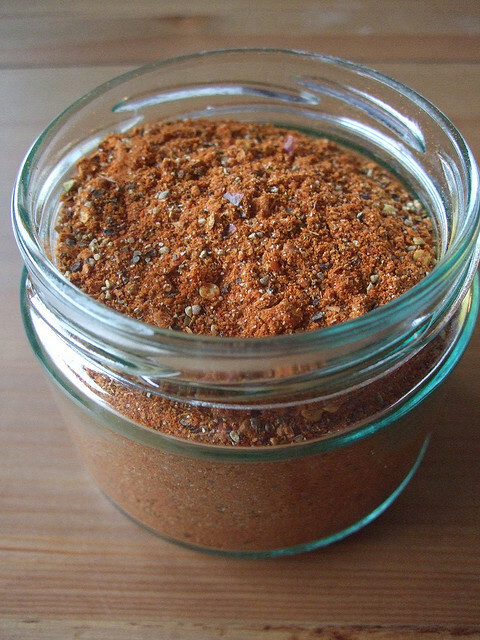 Making your own taco seasoning is not only easy but cheap! In fact, in order to save money, I started making this mix long before we had allergy issues to deal with. 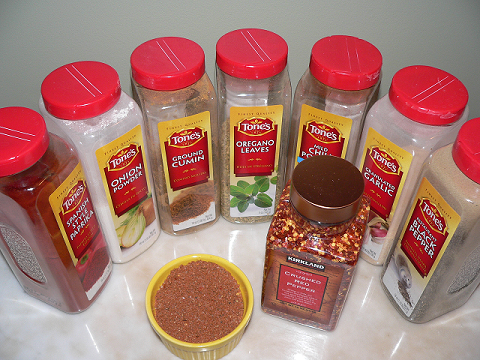 I purchase large bottles of spices from Costco or Sam’s for $3 to $5 each. Measure all of the ingredients into an air tight container and shake it up. Add 2 Tbsp of taco seasoning to 1 pound of cooked ground beef. This works well in all things Mexican including taco soup and taco potatoes. I have tried a number of homemade taco seasonings over the years because, yes, the prepackaged ones have all kinds of junk in them that my allergy family cannot have. Thank you for posting this. I will have to try it out. Thank you also for commenting on my guest post today over at Money Saving Mom. You have a great resource here and I will check in often. Thanks Michelle! Your blog looks nice as well! I’ll have to try out some of those recipes. Thanks for the recipe. I had never thought of making the seasoning aheaad instead of just adding as I cook. Great time saver. Is it okay to share this on one of my blogposts? I will provide a link to your blog. Thank you for this recipe. I will never buy store taco seasoning again. I always make this for my milk, egg, nut free family! I’m glad you enjoy it! I’ve been making it for years. We were traveling recently so I picked up some taco seasoning at the store. It was not nearly as good, and I couldn’t believe how expensive it was compared to making your own. Thanks for sharing this recipe. It is delicious. I’m glad you enjoyed it, Sandi!